HIROSHIMA-THIRD GENERATION, ANOTHER PLACE AND GO. Dan Kuramoto’s interest in music began when he became the inaugural chairman of the Asian-American studies program at California State University in Long Beach in the sixties. This was an honour for Dan Kuramoto who had just graduated from California State University with a degree in Fine Arts. The chance to return to his old alma mater and, shape the new course, was too good an opportunity to turn down for the young Los Angelino. While Dan Kuramoto who was born and raised in LA, his family were originally from Japan. Dan Kuramoto was proud of his roots, and passionate about his new role at California State University. Dan Kuramoto threw himself into his new role, and was determined to make a success of the Asian-American studies program. Although Dan Kuramoto was determined to make a success of his new role, in his spare time he began to learn to play the flute. This helped Dan Kuramoto relax as the sixties was proving to a turbulent and tumultuous decade. Parts of America were divided by race, and the country in the midst of racial, political and social change. America wasn’t the only thing that was changing. When Dan Kuramoto decided to attend a fund-raising community picnic in LA, he had no idea that this would transform his life. That day, he met his future wife and musical partner June, who was born in Tokyo, but had been brought up in the Crenshaw district of LA. June had much in common with Dan Kuramoto, including a love of music. She had started to play the koto, which is an ancient Japanese stringed instrument, at the age of six, and by the time she met Dan Kuramoto was a virtuoso musician. Soon June and Dan Kuramoto, realised that they had much in common, and before long, had embarked upon a relationship. This was the start of a love affair, and by 1974, the pair were married. By then, Dan Kuramoto had started thinking about putting together a band that reflected both American and Japanese cultures. When the band became reality, it was an Asian Pacific American garage band, which Dan Kuramoto decided to call Hiroshima. This was his way of paying tribute to the people of Hiroshima, and also reclaiming the name so that it came to mean hope, peace, rebirth and renewal. Joining Dan and June Kuramoto in the initial lineup of Hiroshima were guitarist Peter Hata, keyboardist Dave Iwatak, taiko drummer Johnny Mori and multi-instrumentalist Danny Yamamoto. The first lineup of Hiroshima began playing locally, and soon, their innovative genre-melting sound was a popular draw within LA’s Asian-American community. This however, was just the start of the rise and rise of Hiroshima. In 1976, Hiroshima received the big break that they had been looking for, when they featured in Duane Kubo’s Star Trek documentary Cruisin’ J-Town. This introduced Hiroshima’s music to a much wider audience, but a year later, the band’s lineup changed. Keyboardist Dave Iwatak left Hiroshima in 1977, and was replaced by John Shipley. Two other new additions were vocalists Teri Kusumoto and Jess Acuna. However, none of Hiroshima’s new additions would last longer than five years, and the band’s lineup was fluid during that time. The first of the new additions to leave was keyboardist John Shipley, who left Hiroshima in 1978. Another year passed before the new keyboardist and composer Richard Matthews Hiroshima in 1979. This was perfect timing as Hiroshima had just been signed to Arista by Larkin Arnold, who was one of the company’s rising stars. He decided to take a chance on Hiroshima, and paired them with Wayne Henderson of The Crusaders, who would produce the band’s eponymous debut album. After five years and three changes in lineup, Dan Kuramoto’s dream was about to become reality when the band that he had founded recorded their debut album Hiroshima with producer Wayne Henderson. At Ocean Way Recording Studios, Hollywood, Hiroshima were augmented by some session musician and backing vocalists when they recorded the eight tracks that became their eponymous debut album. The majority of the album were written by Dan Kuramoto who contributed Lion Dance, Roomful Of Mirrors and Taiko Song, and wrote Long Time Love, Da-Da and Never, Ever with Peter Hata. Dan Kuramoto also wrote Holidays with Jesse Acuna. It was joined by Dave Iwataki’s Kokoro on Hiroshima. When the album was complete, it was scheduled for release later in 1979. 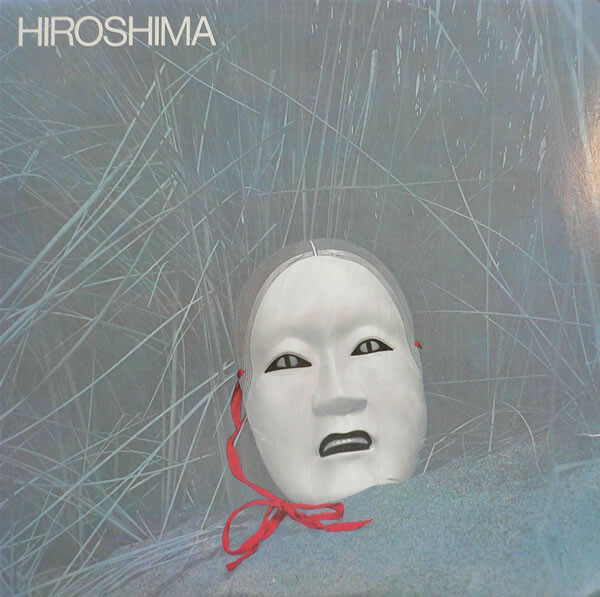 The resulting album Hiroshima, was an ambitious genre-melting album where two cultures musical cultures melted into one. Pentatonic koto line were fused with elements of disco and funk on Hiroshima. This found favour with critics who were won over by Hiroshima. When Hiroshima was released in 1979, it sold over 100,000 copies in the first three months, and eventually peaked at fifty-one on the US Billboard 200. Buoyed by the success of Hiroshima, the irresistible Room Full Of Mirrors was released as a single and reached eighty in the US R&B charts. However, by then, Room Full Of Mirrors was a favourite within the easy listening community and introduced Hiroshima’s music to a new and wider audience. Following the success of their eponymous debut album, Hiroshima returned to Ocean Way Recording Studios, in Hollywood to record their sophomore album Odori. Executives at Arista were keen to build on the success of Hiroshima. For Odori, Dan Kuramoto played his part in each of the eight tracks on the album, writing Shinto, All I Want and Fortune Teller, and penning Echoes with Peter Hata. The pair also wrote Warriors with keyboardist Richard Mathews. He and Dan Kuramoto also wrote Winds Of Change with bassist Dane Matsumura. Cruisin’ J-Town was penned by Dan and June Kuramoto with Peter Hata and Teri Kusumoto. They also wrote Odori with Jesse Acuna, Johnny Mori and Tsukamoto. These tracks became Odori, which was produced by Wayne Henderson. Critics were impressed by Hiroshima’s sophomore album Odori, and the album sold well upon its release in 1980. Odori reached seventy-eight on the US Billboard 200 during an eighteen week stay on the charts. 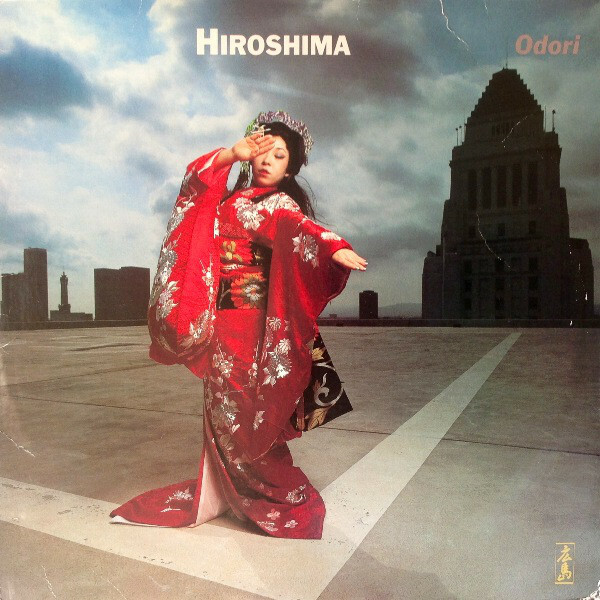 The lead single from Odori was Warriors, which gave Hiroshima a minor hit single when it charted at seventy-nine in the US R&B charts. This was the last hit single Hiroshima enjoyed at Arista. After the release of Odori, Larkin Arnold who had signed Hiroshima moved to Columbia’s imprint Epic. This was a huge blow for the band, as Hiroshima was Larkin Arnold’s signing, and his replacement might not place the same importance on the band? Hiroshima found themselves in limbo. Fortunately, Larkin Arnold hadn’t forgotten about Hiroshima, and by 1983, they were about to release their debut album on Epic. This was Third Generation which is joined by Another Place and Go, on a two disc set that was recently released by BGO Records. Three years had passed since Hiroshima released Odori, and much had changed within the music industry. This included how music was made, and many artists and bands were making greater use of technology, including drum machines and synths. Hiroshima were the latest convert to technology when they began recording their Epic debut, Third Generation. Just like their two previous albums, Dan Kuramoto wrote the majority of the ten trackless on Third Generation. He penned Heavenly Angel, We Are, Ren, Do What You Can, Long Walks and Fifths. Dan Kuramoto teamed up with Dean Cortez to write San Say. Meanwhile, June Kuramoto contributed Distant Thoughts, Peter Hata wrote From The Heart and Johnny Mori composed Sukoshi Bit. These tracks were recorded at five different studios. Some of the recording of Third Generation took place at Ocean Way Recording Studios, while other sessions took place at Monterey Sound Studios, Conway Studios, Sunset Sound Factory and Fiddler Studio. This time, there was no sign of Wayne Henderson, with Dan Kuramoto taking charge of production. This wasn’t the only change. In the three years since the release of Hiroshima’s sophomore album Odori, there had been several changes to the lineup. Bassist Dane Matsumura, keyboardist Richard Matthews and vocalists Teri Kusumoto and Jess Acuna had all left Hiroshima. The addition of session players and backing vocalists augmented the slimed down lineup of Hiroshima as recorded their long-awaited third album Third Generation. Opening Third Generation was the soulful, funky Heavenly Angel which incorporated traditional Japanese instruments. It was joined by the techno-funk of We Are, the understated Ren and the Japanese reggae of Do What You Can. A variety of disparate genres are then combined by Hiroshima on the complex, genre-melting instrumental San Say. It’s followed by Distant Thoughts, a laid-back and ruminative mid-tempo ballad where American and Japanese music combines. From The Heart is an über funky and soulful track, which is followed by the beautiful AOR ballad Long Walks. Fifths is a fusion of rock and Japanese influences where bolstering fusion-inspired guitar licks play a starring role. Closing the album was Sukoshi Bit, which is a showcase for Johnny Mori’s especially his taiko drums. 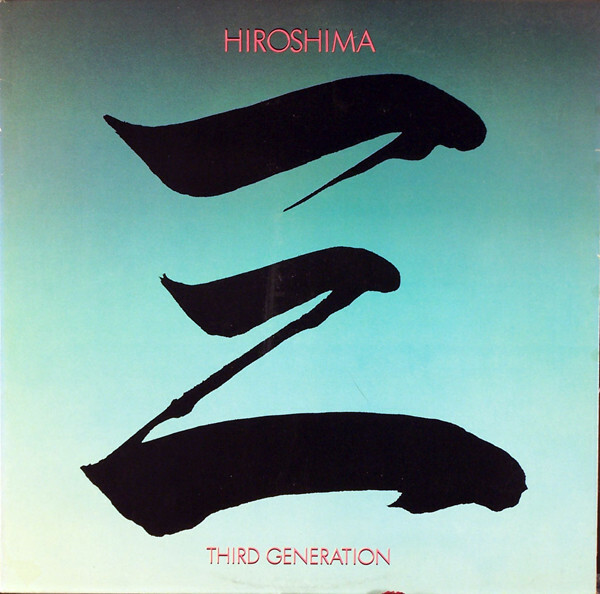 When Hiroshima’s first album for three years was released in 1983, Third Generation only reached 142 in the US Billboard 200 and fifty in the US R&B charts. This was a disappointment for Hiroshima and executives at Epic. However, when San Say was released as the lead single, it reached sixty-eight in the US R&B charts and became Hiroshima’s biggest hit single. For Hiroshima this was a small crumb of comfort, as their thoughts turned to their fourth album Another Place. Much would happened to Hiroshima before they released their fourth album Another Place in 1985. Indeed, much had happened to Hiroshima before they even got round to recording Another Place. This included a number of changes in the band’s lineup. Departures included keyboardist Dave Iwataki who was replaced by Kimo Cormwell. The most surprising change was the departure of guitarist Peter Hata, who was replaced by session players David Taylor and TJ Parker. They were among the session players who joined Hiroshima when recording began. This time around, Sunset Sound, Sunset Sound Factory and Sound City Studios were used to record the nine tracks that became Another Place. Dan Kuramoto only wrote four tracks, One Wish, Save Yourself For Me, I Do Remember and Stay Away. He wrote Another Place with Joe Wolfe; Touch And Go with Michael Sasaki and Undercover with June Kuramoto and Danny Yamamot. Keithen Carter and Pat Leonard wrote The Game and What’s It To Ya. These tracks were produced by Dan Kuramoto and became Another Place. 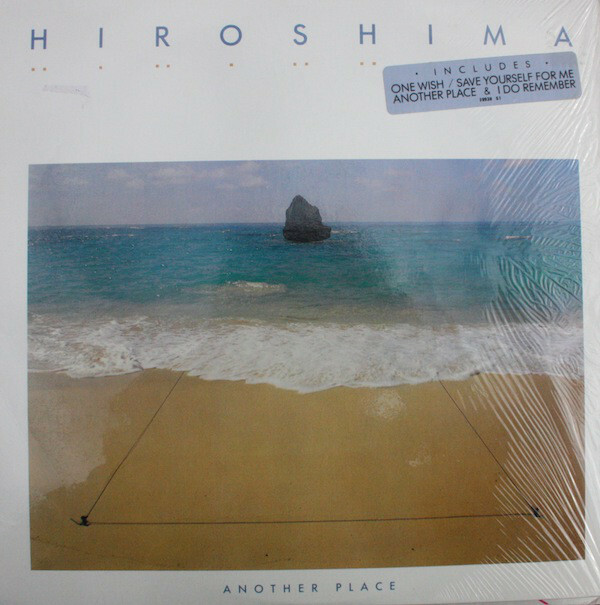 Critics on receiving their copies of Another Place discovered a very different album to Hiroshima’s three previous outings. Hiroshima had reinvented their sound on Another Place. This was a huge gamble, but Hiroshima decided to roll the dice on Another Place. It opened with the Oriental smooth jazz of One Wish, which gave way to the beautiful ballad Save Yourself For Me and the instrumental Another Place. Its got a much tougher sound that is very different from the album opener. I Do Remember could only have been recorded during the eighties, and finds Hiroshima marrying technology with saxophones. In doing so, they create a track that epitomises the sound of the eighties. Hiroshima fuse pop and R&B on The Game, before they combine pop and funk whilst paying homage to Prince on Undercover. After that, it’s all change on Stay Away, which is sensual and soulful. Then the defiant What’s It To Ya heads in the direction pop and funk, as Hiroshima incorporate eighties technology. Closing the album was the slick synth pop of Touch And Go, which is one of the most commercial tracks on the album. Hiroshima’s decision to reinvent their sound on Another Place proved a gamble worth taking, when the album was released in 1985 and reached seventy-nine on the US R&B charts, where it spent forty-five weeks. The only disappointment was that Another Place failed to chart in the US R&B charts. However, Hiroshima soon got over this, when Another Place was certified gold having sold over 500,000 copies. This was what Hiroshima had been working towards since Dan Kuramoto founded the group in 1974. Having enjoyed the most successful album of their career, Hiroshima set about to replicate the success of Another Place. This wasn’t going to be easy, but Dan Kuramoto and the rest Hiroshima were determined to build on Another Place. Just like previous albums, Dan Kuramoto wrote the majority of the eight tracks on Go. He wrote Go, Obon, Even Then and Why Can’t I Love You, and cowrote the other four tracks. This included Hawaiian Electric with June; No. 9 with Chick Corea; I’ve Been Here Before with keyboardist Derek Nakamoto wrote I’ve Been Here Before and 311 with Dianne Quander. These eight songs became Go. Hiroshima would use three studios to record Go, including Ocean Way Recording Studios, Sunset Sound Factory and Sunset Sound Recording. The same core lineup of Hiroshima were augmented by session players and backing vocalists. Dan Kuramoto produced five of the eight tracks on Go, while George Duke took charge of production on No. 9, Even Then and Why Can’t I Love You? By 1987, when Go was recorded, George Duke was a hugely successful composer, musician and producer. However, Hiroshima had just enjoyed the most successful album of their career, and to some industry insiders, the decision to bring George Duke onboard seemed strange? These industry insiders wondered had Epic, Hiroshima or Dan Kuramoto brought George Duke onboard? If it was Epic, would the addition of George Duke undermine Dan Kuramoto’s role as producer? 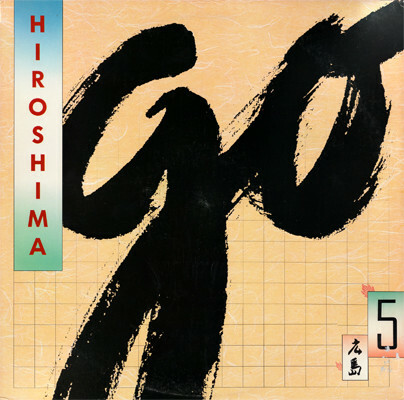 Go opened the title-track where Hiroshima combined technology, samples and traditional instruments to create an idiosyncratic and irresistible sounding track. It’s followed by I’ve Been Here Before which is a tender, ruminative and melodic track that been carefully crafted. 311, an uptempo and soulful dance track where Michael Landau unleashes a blistering guitar solo. Genre-melting describes No. 9, an Asiatic, pop-funk instrumental. Obon epitomises Dan Kuramoto’s original idea for Hiroshima as he combines jazz-funk with Japanese influences. It gives way to the pulsating ballad Even Then, where Barbara Long delivers one of her finest vocals. However, Hawaiian Electric which was released as a single, and was later used in commercials, is without doubt, one of the highlights of the album. Closing Go is Why Can’t I Love You where Barbara Long delivers a soul-searching and emotive vocal, that closes the album on a high. The decision to bring George Duke was vindicated when critics hailed the album as one of Hiroshima’s finest albums, and a fitting followup to Another Place. Go which means five in Japanese, was released in autumn 1987, and was the fifth album Hiroshima released. It was also their most successful, when Go reached seventy-five in the US Billboard 200 and fifty-four in the US R&B charts. This was enough for the second gold disc of Hiroshima’s career. After the success of Go, Epic’s decision to take a chance on Hiroshima was vindicated, and executives at Arista must have been regretting the day they let Dan Kuramoto’s band leave the label. Having been reunited with Larkin Arnold, Hiroshima released Third Generation, Another Place and Go between 1983 and 1987. These albums have been remastered and rereleased by BGO Records as a two CD set. They’re a reminder of musical chameleons Hiroshima at the peak of their powers, as they constantly reinvented their music. To do this, Hiroshima combined traditional Western and Asian instruments with the latest in musical technology. The result was Hiroshima’s pioneering, genre-melting sound that incorporated everything from funk, fusion, jazz-funk, pop, R&B and rock to electronic and tech-funk through to elements of Asian and Japanese music. 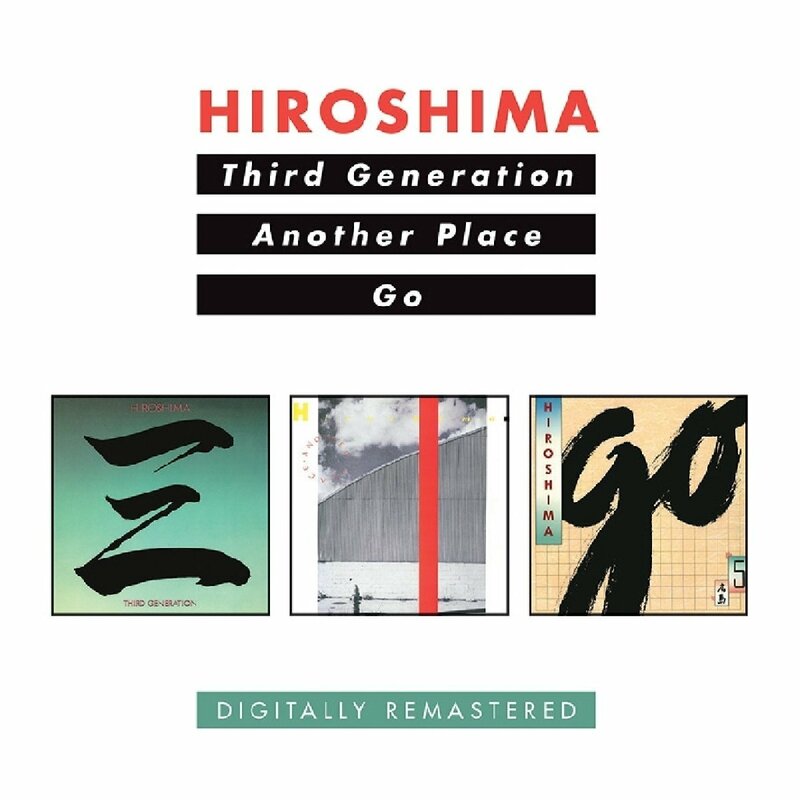 There’s also everything from tender ballad to uptempo dance tracks on Third Generation, Another Place and Go, which showcase the considerable talents and versatility of Hiroshima, who were led by teacher turned bandleader, composer and producer Dan Kuramoto. Tagged: Another Place, Dan Kuramoto, Go, Hiroshima, Larkin Arnold, Odori, Third Generation, Wayne Henderson.